New paradigms like "Voice" can give mobile a run for its money at Mobile World Congress, says Mark Curtis of Accenture Interactive's design and innovation agency, Fjord. Mobile phones have long reigned supreme in the arena of tech and digital innovation. But with the arrival of new technologies such as voice, integrated apps and invisible interfaces, mobile phones could find their "top-dog" status called into question. So how can the once revolutionary mobile now compete for the attention of both businesses and consumers alike? 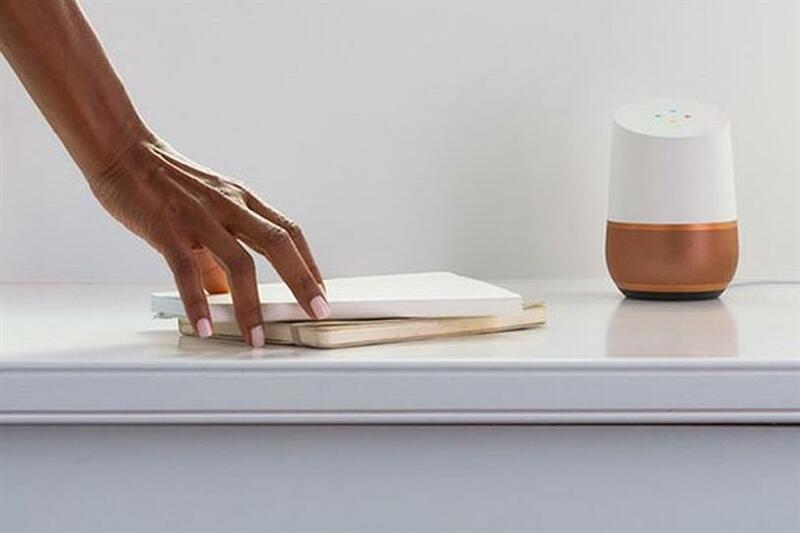 The likes of Amazon’s Alexa and Google at Home (pictured above) have demonstrated there is a route to digital services via voice and other devices that bypasses the smartphone. Mobile has trudged along for some years without seismic changes in its physical appearance or in what it can do, but as it’s stood relatively still, technological changes are propagating in other areas, such as the car and through impressive paradigms like voice. According to ComScore, 50% of all searches will be made via voice query by 2020 – that’s just three years from now. That said, smart phone brands should not rush to be heard by simply using Alexa, as this won’t give them the opportunity to differentiate themselves. The usage of phones as core payment devices is beginning to really take off. According to Global Mobile Payment Methods, in-store contactless payments via mobile phones are projected to show strong double-digit growth within the next few years. As these mobile payments become more sophisticated and grow in popularity, we’ll see fewer consumers carrying cash. Their credit cards will also become their back up payment devices when their phones run out of battery. Here lies another challenge for mobile technology – prolonging battery life. Fintech unicorn Transferwise just announced that it is bringing its online money transfer service to Facebook Messenger. This is a sign of things to come, as people will no longer want to switch between one app and another to complete different functions. Consumers will want to experience the content-rich, full-feature environments of an app through swift interactions and the conversational elegance of messenger interfaces. It will be interesting to witness how smartphones choose to go to market to meet their audiences’ desires in different context. However, interactions via single platform interfaces won’t become dominant in 2017, as they still lack much of the needed content richness. One clear tech trend that’s set to impact mobile is the growth of video and live content – leading it down an ephemeral path. This means that all services flowing through mobile phones need to ask themselves to what degree they can push their content closer to being live, and avoid going unnoticed. It’s been a long time since we’ve witnessed changes in the basic form factor of the phone. We expect to see some radical new thinking emerge this year – perhaps in the form of a foldable mobile phone screen and MWC could be their platform to do so. Mark Curtis is chief client officer at Fjord, part of Accenture Interactive.